Description: Part 1 of Passover Series based on the four promises in Shemot (Exodus) 6.6-8. Freedom is what Passover is all about. The first promise given by Adonai is to release us from the burdens, oppression, weights and pain we are under. Adonai's desire is for you to be free at last. Receive the declarations made for your life. 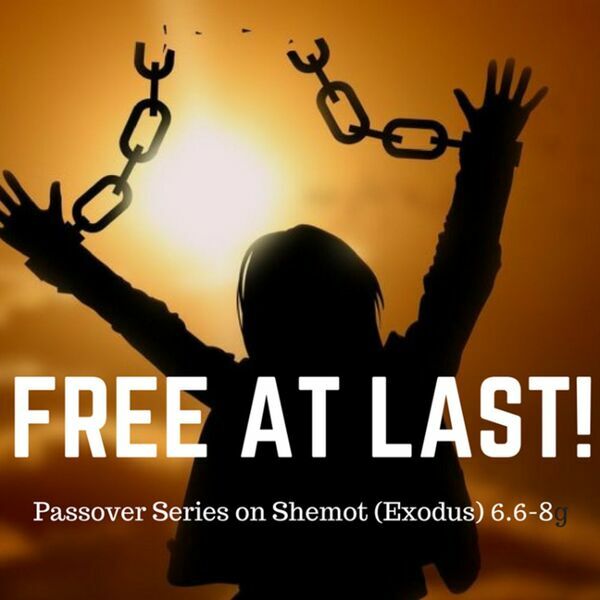 Part 1 of Passover Series based on the four promises in Shemot (Exodus) 6.6-8. Freedom is what Passover is all about. The first promise given by Adonai is to release us from the burdens, oppression, weights and pain we are under. Adonai's desire is for you to be free at last. Receive the declarations made for your life.